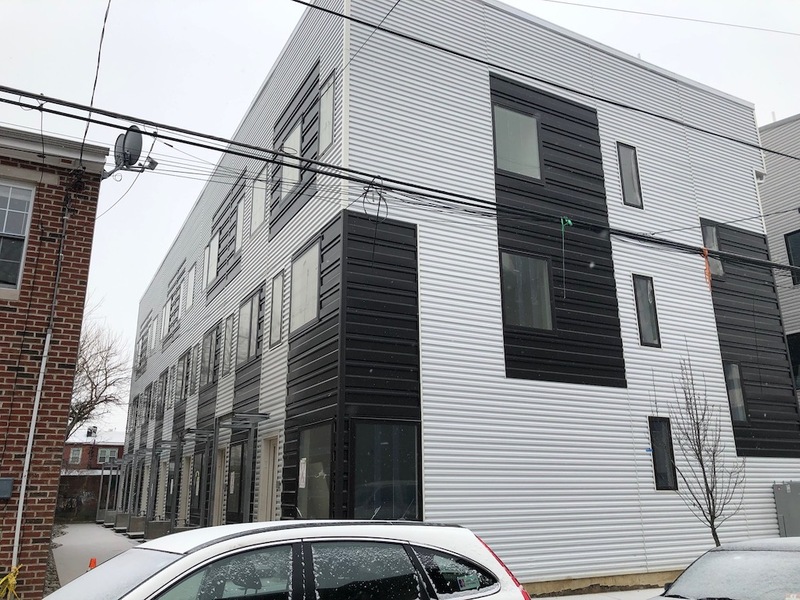 Seven Homes Finally Finishing Near Konrad Square Park? 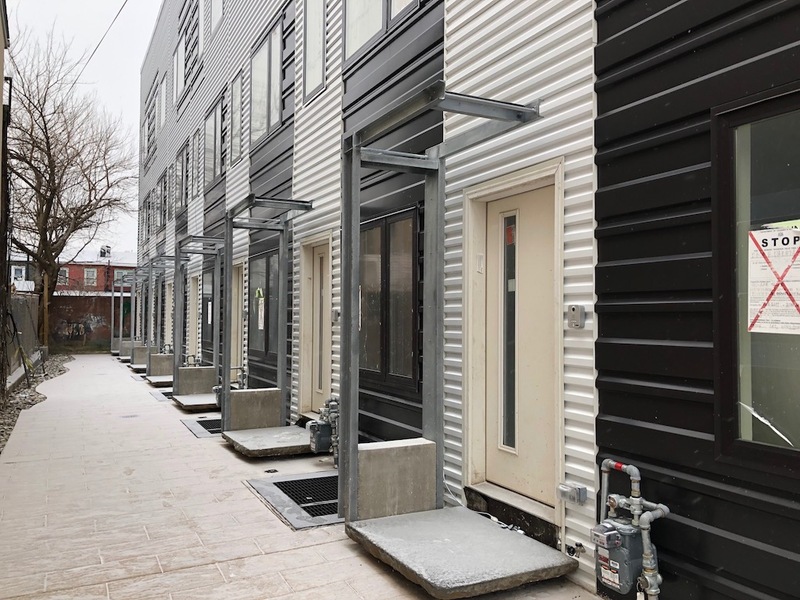 We’ll forgive you if you’ve never heard of Dakota Street, as it’s one of those streets that disappears and reappears in Fishtown, seemingly with little rhyme or reason. It’s even more understandable if you couldn’t find the 2300 block of E. Dakota St. on the map, since it doesn’t show up on Google Maps due to the fact that it ends after a hundred feet and isn’t wide enough to drive on. While this is a challenge for real estate bloggers and Caviar delivery guys, some people consider a slightly hidden address to be a perk, and there’s definitely a benefit to living on a little street that’s closed to vehicles. That was surely part of the thought process that developers had when they purchased three older homes at 2300 E. Dakota St., with a plan to demolish and redevelop the property into seven new homes. 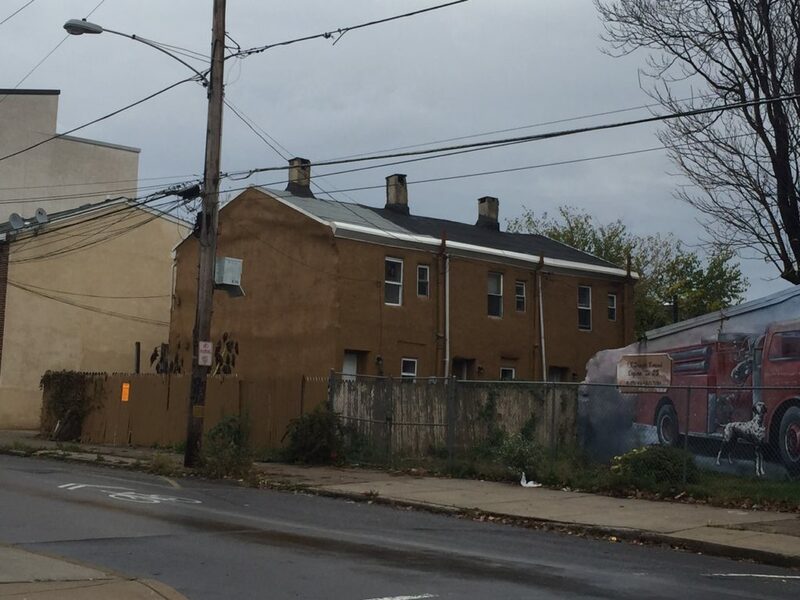 We brought this project to your attention back in 2015, and when the project got ZBA approval at the end of that year, we figured it wouldn’t be long until we saw new homes rise on this property. And indeed, we believe construction started here sometime in 2016. Running into the next year, we believe that the homes were nearly completed- at least that’s how they look from the outside. You’ll notice in the image above, there’s a dreaded Stop Work Order posted to every home in the development, dating back to some violations from 2017. We aren’t sure exactly what caused these violations, but as we look at public record, it appears that all the violations were resolved a year and a half ago. At yet the Stop Work Orders are still posted and it appears the homes are not sold or occupied. One positive sign, the end unit was listed as available for rent about a month ago at a price of $2,500 per month. The images in the listing show a home that looks like it’s 99% finished, though we don’t know the state of the other homes. Does anyone know what happened here? We confess, we’re a little stumped. Assuming that this project is finally emerging from the purgatory of the last year plus, now seems like as good a time as any to remark on the ultra-contemporary exteriors of the homes. We’ve seen plenty of projects in this neck of the woods lean into contemporary designs, but this project pushes things as far as we’ve seen, at least in terms of exterior cladding. Some might complain that the homes look like shipping containers and there’s certainly some truth to that description. From our perspective though, architectural diversity is a good thing, and it’s a gift that we live in a city with all different kinds of buildings that reflect the different times in which the buildings were constructed. Will this style hold up in 5 years? 20 years? 50 years? Who knows. For today, we appreciate the bold choice and suspect we’ll see more homes like these in the coming years. Could have been striped for using non union electricians! This is one of the ugliest projects I’ve seen, and that’s saying a lot around here. Bland boxes, terrible looking siding, small windows, no cornice, etc. etc. This is neo-brutalism, folks. STOP WORK order for being so ugly? I’m sure it was stalled simply because the builder just wanted to hold out for better plans/materials/workers. He simply couldn’t deliver a product that was sub-par. 🙂 🙂 bahhaaa yeh right.